I got lucky with my work schedule and I don’t have to work as much as my roommates during the week. So naturally, I’ve been taking advantage of this. On Friday one of my good friends from home came to visit, as well as one of my other good friends from Long Island/elementary school. My friend from home, Evie, hadn’t been to New York City in a few years so I took it upon myself to be her tour guide for the day. We spent the morning being complete tourists. We walked by The Plaza, explored FAO Schwarz, and strolled down 5th Ave. All that was missing were our ‘I Heart NY T-shirts’. I pointed out stores and buildings and occasionally threw in some facts. I even did the notorious Gossip Girl “Good Morning Upper East Siders” quote when we crossed over to the east side. I have to admit, though, being a tourist for the day was actually very exciting. 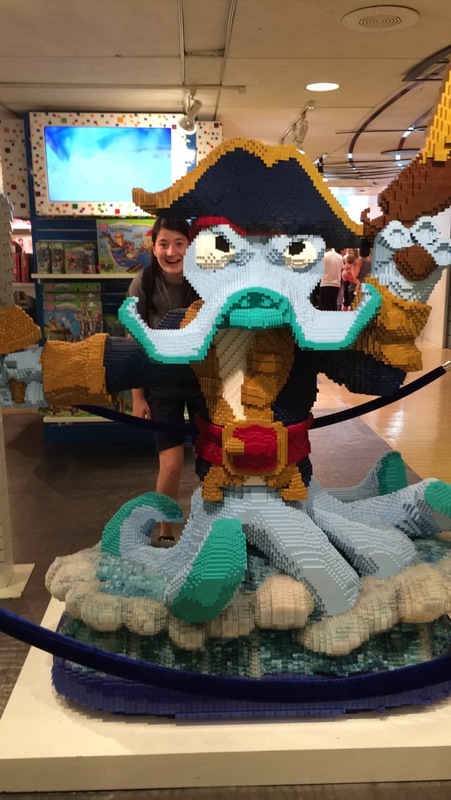 FAO Schwarz transported me back to my 9-year-old little girl self and I was mesmerized by the array of toys that lined the walls and halls of the store. There was everything from terrifyingly human-like baby dolls to Avatar dolls, that cost $800, to life size bear stuffed animals. It was hard not to look around wide eyed and in awe. After we checked out the toys we drooled over the stores on 5th Ave that were so gorgeous and so unbelievably expensive and unrealistic. Then we explored Little Italy because one, I had never been before and two, Italy was playing soccer in the world cup that day. 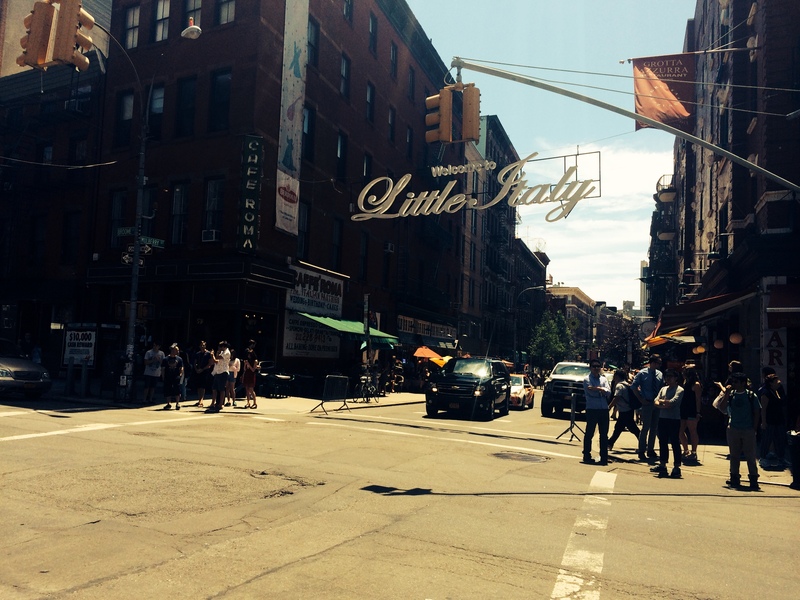 We figured what would be a better day to go to Little Italy than the day they played soccer?! 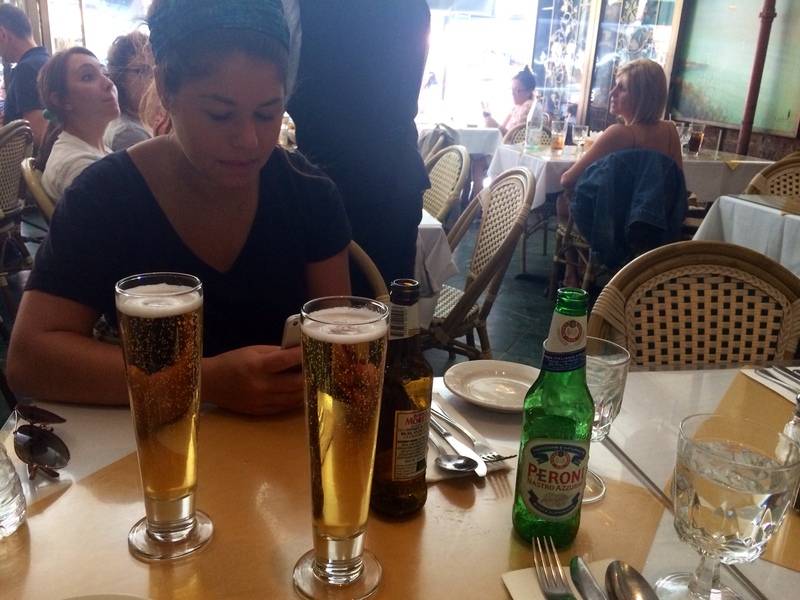 We ordered some authentic Italian beer and a few appetizers to keep our stomachs from growling. We were extremely disappointed to see that they lost because we were looking forward to how Little Italy would come alive if they did win. So after our long day of walking for four and a half hours we finally made our way back to the apartment. We ate some dinner and then got ready to go out! We went downtown to Phebe’s, a popular intern bar, and had a few drinks. One thing I have noticed is that just about EVERY fun/cool/hip/exciting place is downtown, which is not so fabulous for our wallets because downtown is pretty much polar opposite from where we live. The bar was fun but by the end of the night we were all exhausted and ready to be home in our beds. I take that back, we were ready for pizza. We are practically best friends with the pizza guys there… Something I’m ashamed to admit. But, nevertheless, we continue to go back night after night. This time I didn’t order the most bizarre thing they had to offer. So, one point for me! I got a good old fashioned margarita pizza and it was delicious.